The latest from Minneapolis label MEME Sounds comes in a huge package. 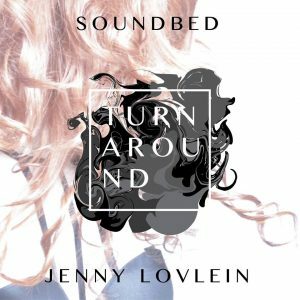 Compiled from Soundbed and Jenny Lovlein’s ‘Turnaround’ as well as five incredible remixes, courtesy of Waldemar, CTRL+F, Pezzner’s and Champagne. We have the proud pleasure of premiering the full length of Ross Waldemars impressive remix, complete with old school deep piano chords, a low end filled with smooth chunks of bass and a classic dance spin on the original vocal, with vocal chops to match. CTRL+F’s ‘Get So Lost Remix’ takes things down a much darker road, complete with that ‘3am’ vibe, it’s a complete monster. Strong piano chords featuring soft vibrato, a round stab bass synth and a drone-esque vocal flip brings this remix together perfectly. Pezzner comes armed with not one, but two remixes, a vocal mix and an instrumental. When the music is this good, it’s clearly hard to make a choice, so why not release both! His Vocal mix is out favourite from the release, with filthy guitar riffs, heavily delayed vocal chops and enough fx fills to rival a progressive house track. His amazing work on the main vocal sends chills down our backs, if you don’t believe, listen for yourself. Champagne’s mix brings a welcomed lightness to the EP, stripped back completely, it lets the vocal float between melodic fx and percussion. The addition of a reese bass brings a deep feeling to the track, while still keeping it away from the heavy side.